Get your Madagascar holiday custom-made by a vacation planner that know what the guidebooks don’t. The fourth largest island in the world is Madagascar and it is located in the Indian Ocean, on the Eastern coast of Africa. This melting pot of different cultures and animals is a one-of-a-kind destination. Go to connect with nature, to interact with a new culture or for some physical activity. 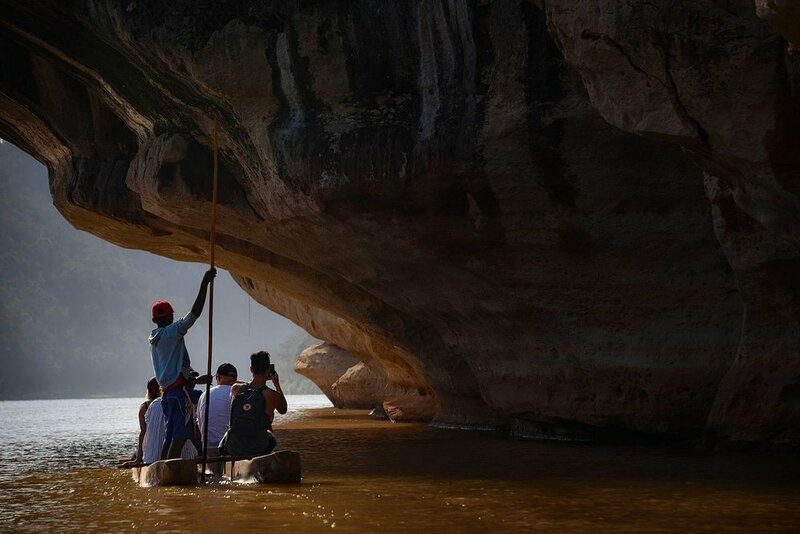 Outdoors fun is for everyone and in Madagascar you can get your adventures custom-made at your own skill level. Hiking, mountain biking, guided kayaking, kite- and windsurfing, diving, rock-climbing, deep sea fishing or scuba-diving. Cool off in the clear blue water, take walks on the white beaches or catch some rays. Visit the beautiful Tsingy de Bemaraha, the Labyrinth of Stone, Madagascars largest reserve. Walk The Avenue of the Baobabs to experience the fascinating Baobab trees up close. And in the rainforests of the Atsinanana you'll find a number of fascinating species. One of them is Madagascar´s signature animal, the lemur, which is endemic to the island. And since there are over 100 different species of lemurs there, chances are you are likely to encounter some of them. Together with exotic chameleons, birds, frogs, insects, turtles, sharks or whales. Because of the variations in climate and the two very different seasons, one hot and rainy and one cool and dry, it can be a good idea to have your trip custom-made to suit your needs and wants. You can travel with a friend, with family or as single on a small group trip where you might gain friends for life. A small group of people that have the same new experiences together for the very first time, is a great way to travel. Malagasy guides will make sure your trip is convenient, secure and comfortable. The simplicity of slowing down, having a phenomenal view while feeling happy and at ease. That is true luxury. Get back to basics in this phenomenal island country. And let it change you forever.